Thin clients offers greater security over decentralized systems because all of the processing is controlled in a central location. In addition, if one terminal breaks down, the user can simply go to another terminal and log in again, and all of their files will still be accessible. Depending on the system, they may even be able to resume their session from the point they were at before, as if nothing had happened. They consume less power than a regular computer. Thin clients hardware are less prone to hardware failure (less moving parts). The only barrier to wide usage and acceptance of thin clients is due to the complexity involved in the setup. Well not anymore, Osiris Support Services can help analyze and adapt your needs and deploy it across a network of thin client s. Ensuring greater security, easier manageability and less down time. 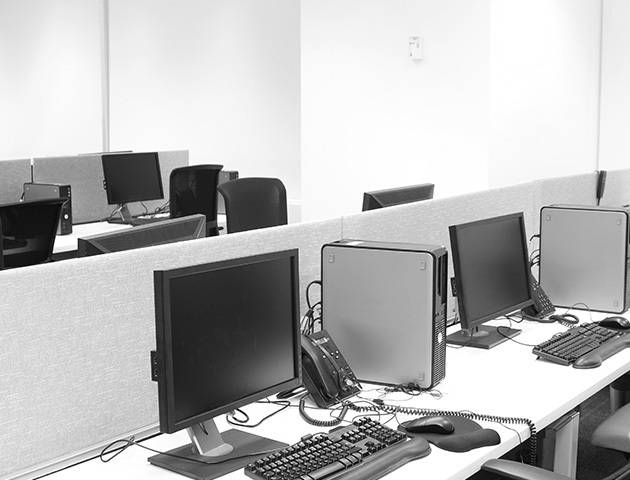 Since every company needs differ from one another, deployments of thin clients do depend on the company’s requirements. Do contact us for a free analysis on whether thin clients deployment is a suitable choice for your company needs.